All rooms are subject to 5.5% WI and Waupaca county taxes. For stays up to 3 guest room nights (#rooms X #nights), your credit card will hold a room for you. The reservation can be cancelled up to two weeks ahead and after that time is subject to a cancellation fee of half the value of the stay unless we can reschedule the room. If no credit card number is given, a deposit equal to half the reservation by check or credit card must be received within one week of making the reservation, and is subject to the same cancellation policy as above. For stays of 4 or more guest room nights (#rooms X #nights): 50% deposit by credit card, check or cash within one week of making reservation. The reservation can be cancelled up to 4 weeks ahead and after that time is subject to a cancellation fee of half the value of the stay unless we can reschedule the room. Rates/policies are subject to change and vary for special requests. A 30 day cancellation notice is required on whole house bookings and for some special events. Two nights stay minimum on weekends from mid-May through September. The two nights may be Thursday & Friday, Friday & Saturday or Saturday & Sunday. Children over 12 are welcome in the inn. Children of all ages are welcome in the Little House on the Prairie and the Granary. Well behaved dogs are welcome in the cottages (The Coop, Little House on the Prairie, The Granary) for a $25 per day pet fee. Additional pet rules will be given at check-in. 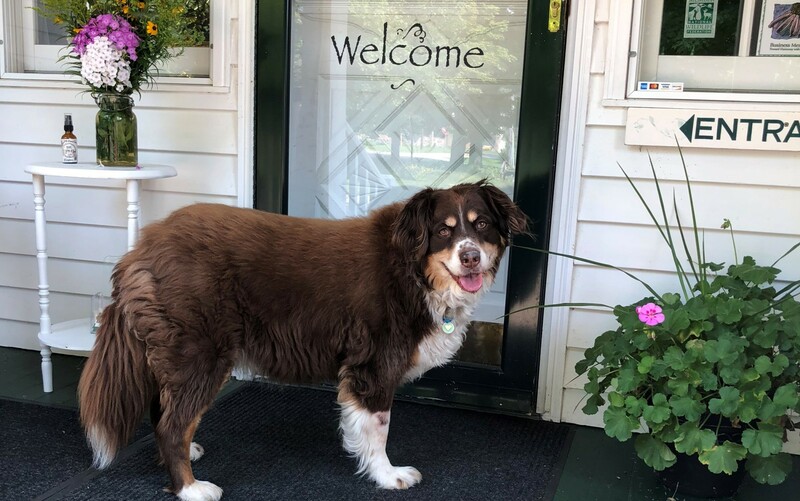 We are not able to accommodate pets in the inn, except service dogs. For the comfort and safety of our guests there is no smoking.